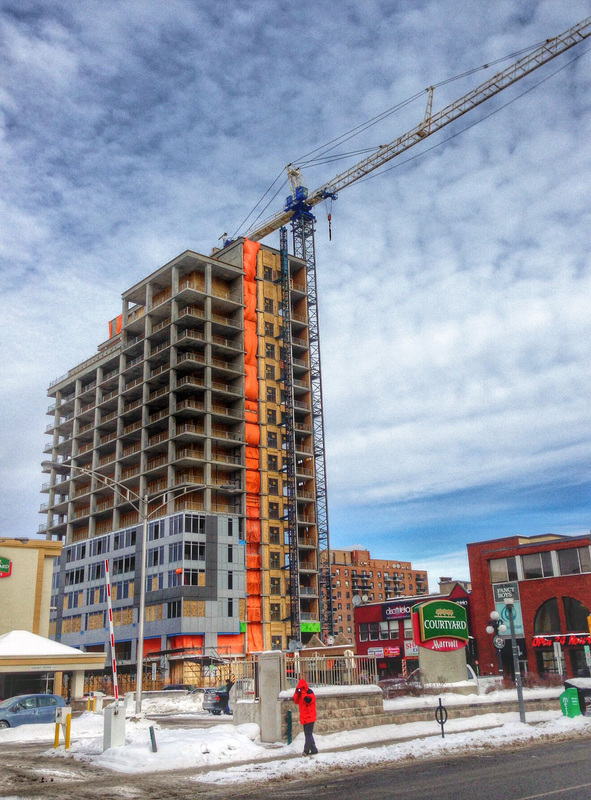 Hotel development on George Street at Dalhousie, in Lowertown, Ottawa, February 2014. The broad mandate of the Planning Committee is to respond proactively to planning and zoning issues affecting Lowertown and to coordinate the community’s position on development proposals and planning studies or initiatives affecting the community. makes representations relating to planning and zoning before public bodies on behalf of LCA. The Planning Committee meets on the first Tuesday of every month except in July and in August. It reports on priority issues at the monthly LCA meetings. The Planning Committee has two co-chairs who are responsible for coordinating and documenting the activities of the committee, organizing regular and ad hoc meetings and setting the agenda for meetings in collaboration with the other members of the committee. 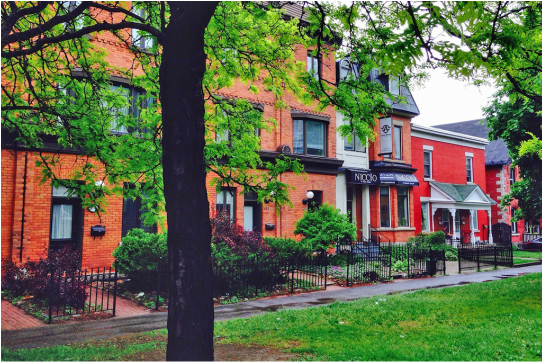 Heritage buildings on York Street east of Dalhousie, in Lowertown, Ottawa, June 2014.
develop planning principles for Lowertown.